11.34 – watching E!’s red carpet coverage. So far they’ve shown ads for new series The Royals more than interviews with nominees. 11.43 – Giuliana Rancic is discussing flogging. This may be a new low. 12.03 – it’s raining in LA as Seacrest interviews Eddie Redmayne. An omen? 12.24 – JK Simmons has arrived and he’s brought his hat. 1.31 – its’s starting!! NPH on stage to rousing applause. “Tonight we honour Hollywood’s best and whitest…brightest”. 1.34 – Anna Kendrick and Jack Black have joined him for the opening number. They have dancing stormtroopers! 1.40 – First award of the night. Here’s Lupita N’yongo. PLEASE let it be JK Simmons. YES!!! So happy. If you haven’t seen Whiplash then RUN to your cinema. He pays tribute to his wife and children. He tells the audience to call their parents and listen to them. 1.57 – JLo and CPine take to the stage to present Costume Design. First win of the night for Grand Budapest Hotel. 2.00 – Reese Witherspoon quickly follows to announce Make Up & Hair Styling. Another win for Grand Budapest. Ooh, Brit winners! Congrats Frances Hannon and Mark Coulier. 2.10 – Foreign Language Oscar time. Nicole Kidman and Chiwetel Ejiofor announce the win for Ida. 2.17 – NPH is back with a bit about the seat fillers that ends with Steve Carell. Straight into Everything Is Awesome. Members of the audience are being given Lego oscar statues. That was a very strange performance. Sure it worked in someone’s head – not sure it transferred to the stage. 2.25 – almost an hour in and we’ve only had one of the big six. Time to pick it up a bit Oscars. Meanwhile Best Short Film – and more Brit winners! The Phone Call. Followed by Documentary Short which is won by Crisis Hotline: Veterans Press 1. Sound Editing goes to American Sniper. Bit of a surprise. 2.51 – finally! Time for another of the big six. Jared Leto tells the audience the nominees for Supporting Actress are “four women and in accordance with California state law, Meryl Streep”. To absolutely no-one’s surprise, Patricia Arquette wins. She uses her speech to call for equal rights for women in America. 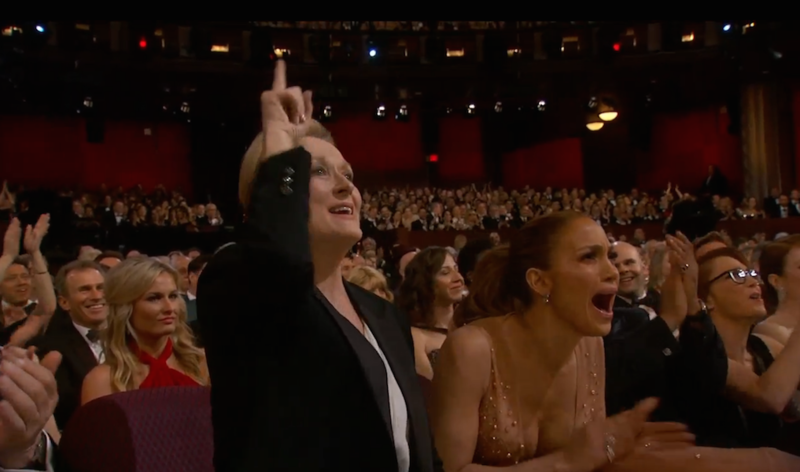 Meryl loves it! 3.03 – Visual Effects goes to Interstellar. More Brit winners! The Academy’s sharing the love around the films but it’s great to see so much British talent up in the stage. 3.06 – Anna Kendrick and Kevin Hart present Animated Short. Lots of jokes about being short. Feast wins. I know nothing at all about this film. It looks quite cute in the clips they’re showing. 3.09 – Animated Movie time. NPH jokes it’s time to distract the makers of The Lego Movie. I saw Song of the Sea at LFF last year, it’s really sweet. Big Hero 6 wins, that’s a surprise, the smart money was on How To Train Your Dragon 2. 3.19 – Hate to say it, but the show is seriously dragging this year. NPH seems somewhat uncomfortable. Production Design now, the Oscar goes to The Grand Budapest Hotel. Cinematography follows, as expected Birdman wins. It’s Emmanuel Lubezki’s second year in a row, he won last year for Gravity. 3.40 – Meryl’s just introduced the In Memorium segment. Academy rightly remembers Bob Hoskins, unlike BAFTA a couple of weeks ago. 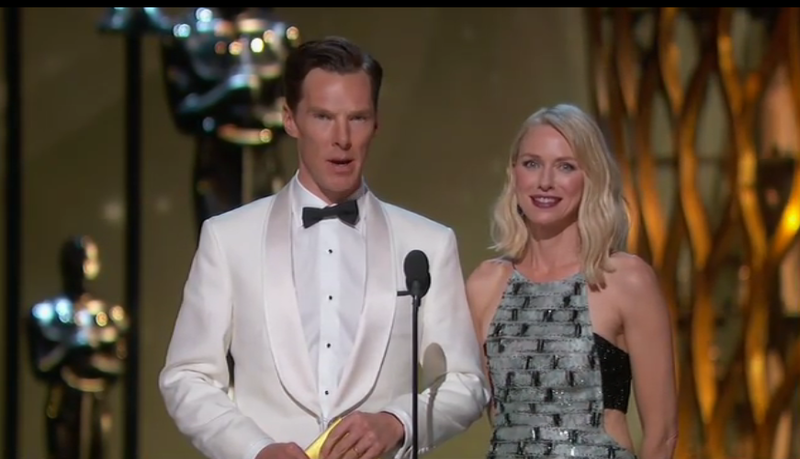 3.43 – Cumberbatch and Naomi Watts to announce Best Editing. 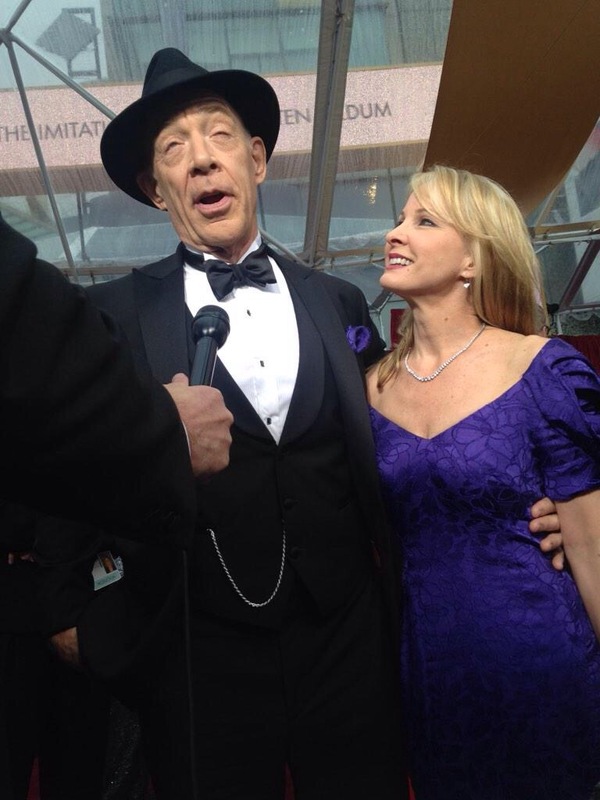 Tom Cross wins for Whiplash. Now tied with Budapest Hotel for most wins of the night. 3.48 – controversy beginning on Twitter over no mention for Joan Rivers in the In Memoriam section. Now Best Documentary – absolutely no surprise that it goes to Citizenfour, about Edward Snowden. 4.04 – NPH makes a funny! “Benedict Cumberbatch, not just an awesome actor but also the sound you get when you ask John Travolta to say Ben Affleck”. Idina Menzel arrives on stage to announce Best Song – and she’s joined by Travolta, lots of joking about pronouncing winner’s names. 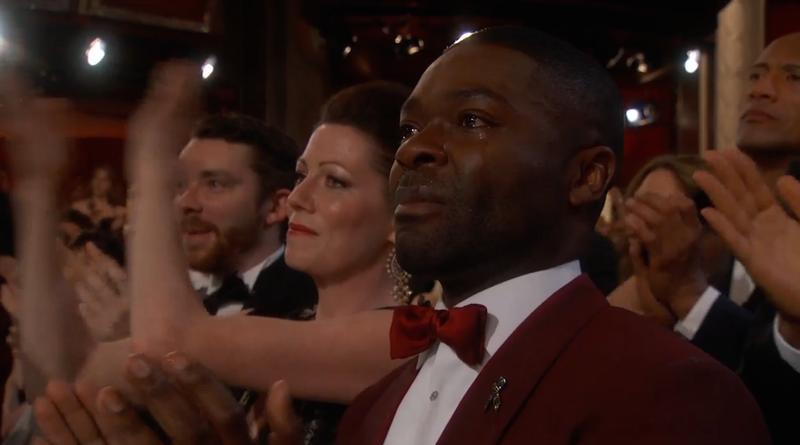 Anyway Glory from Selma wins – they’ve just given a brilliant performance which left David Oyelowo in tears. 4.16 – Lady Gaga’s singing The Sound of Music. The evening’s taken a surreal turn. To be honest, I wish they’d just get on with it. The audience gives her a standing ovation. And here’s the great Julie Andrews! Another standing o. She’s here to announce Best Score which goes to Alexandre Desplat for The Grand Budapest Hotel. He was also nominated for his work on The Imitation Game. 4.30 – Eddie Murphy takes to the stage for Original Screenplay. And the winner is Birdman! 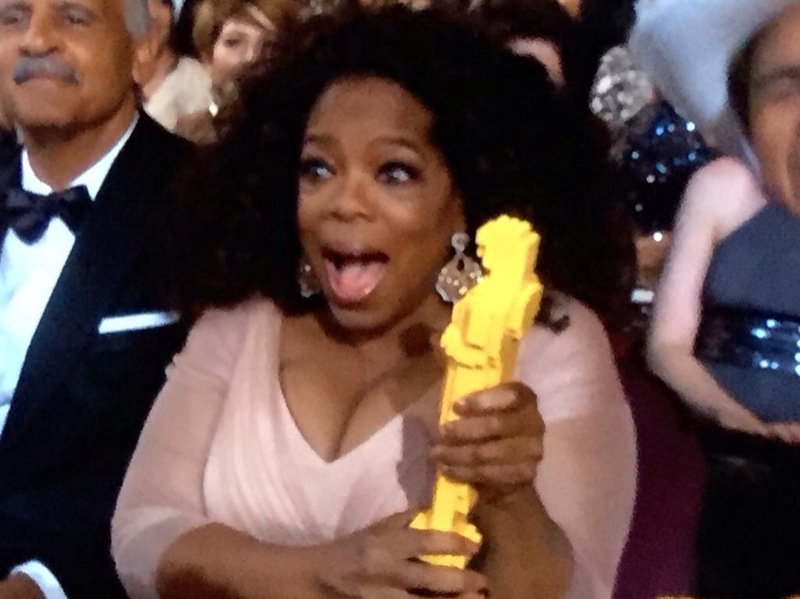 I think we know who’s getting Best Picture… Here comes Oprah. She’s presenting Adapted Screenplay. And the winner is Graham Moore for The Imitation Game. Big hug from the ‘batch as he walks past. He reveals he tried to commit suicide at 16 because he “felt weird” and urges any young people watching to “stay weird, stay different”. Another standing ovation. 4.41 – Batffleck’s here to present Best Director. It goes to Alejandro G Inarritu, he gets a big hug from Richard Linklater. He tells the audience he’s wearing his good luck charm, Michael Keaton’s tighty-whities. Second year in a row a Mexican director has won – fifth year in a row it’s gone to a non-American. 4.48 – here we go, Cate Blanchett’s on stage to present Best Actor. “Okie dokie Skokie” says Blanchett. The Oscar goes to Eddie Redmayne. He tells the audience he’s a lucky, lucky man. He’s a bit overcome. 4.53 – straight into Best Actress. Get ready, Julianne Moore. Of course she wins! Second year in a row the winner has starred in a film with Aled Baldwin. And she also played Eddie Redmayne’s mum in Savage Grace. 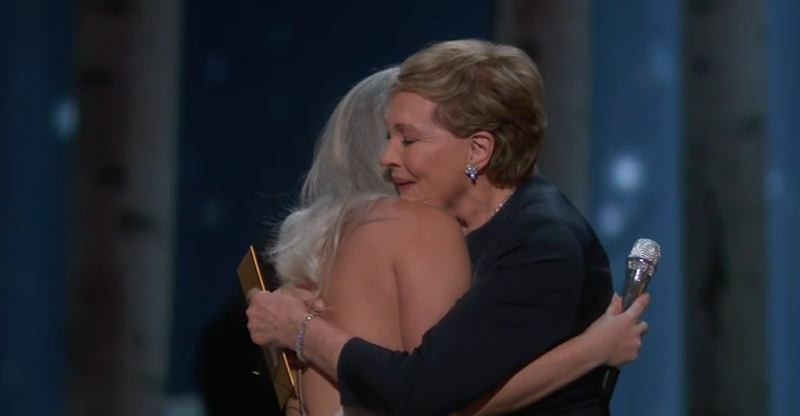 She tells the audience she read that winning an Oscar can add five years to your life, which she says is good as she’s older than her husband. 5.02 – Sean Penn strides out to announce the winner of Best Picture. 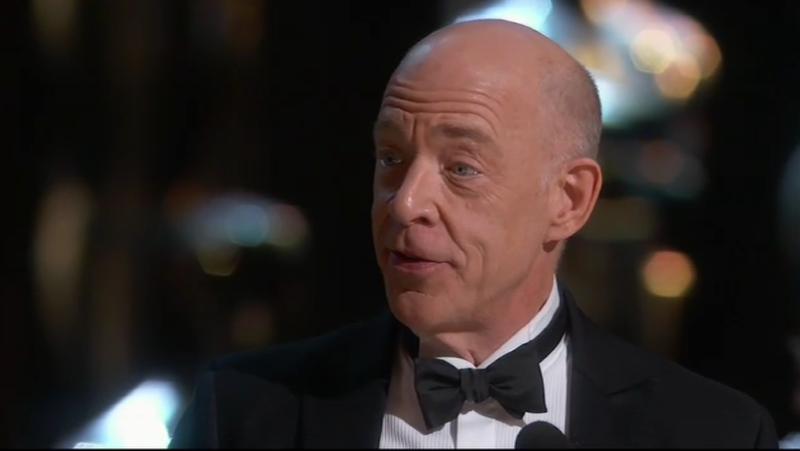 He presents the Oscar to Birdman – of course he worked with Inarritu on 21 Grammes. The director makes a joke about it being the second year in a row that a Mexican has won. He makes Michael Keaton speak who admits “it’s great to be here, who am I kidding”. 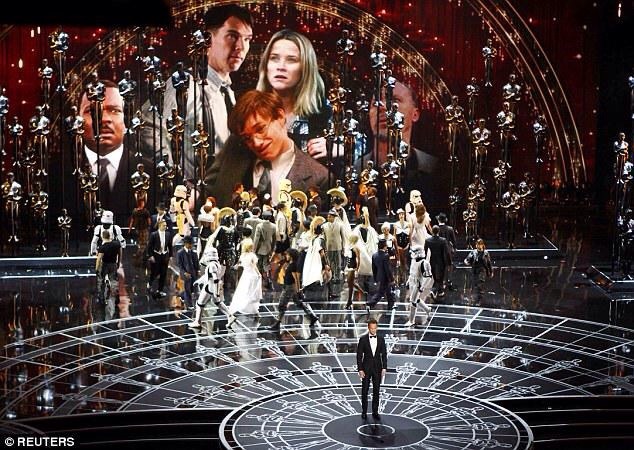 So that’s it, the Oscars have been presented for 2015. I thought Birdman would win and I was right… How long until next year’s show? Oooooh Jenny, I wish I could watch too! I’ll check your blog tomorrow first thing in the morning. If Marion Cotillard wins and thanks love and life again, I want you to write something about it.